limited edition Spirit Deer soft enamel double posted le 50 Hatpin 2-pack. The pins are 1.25 inches and bulk deals are available. one pin glows and one pin glitters. limited edition Spirit owl soft enamel double posted le 40 Hatpin 2-pack. 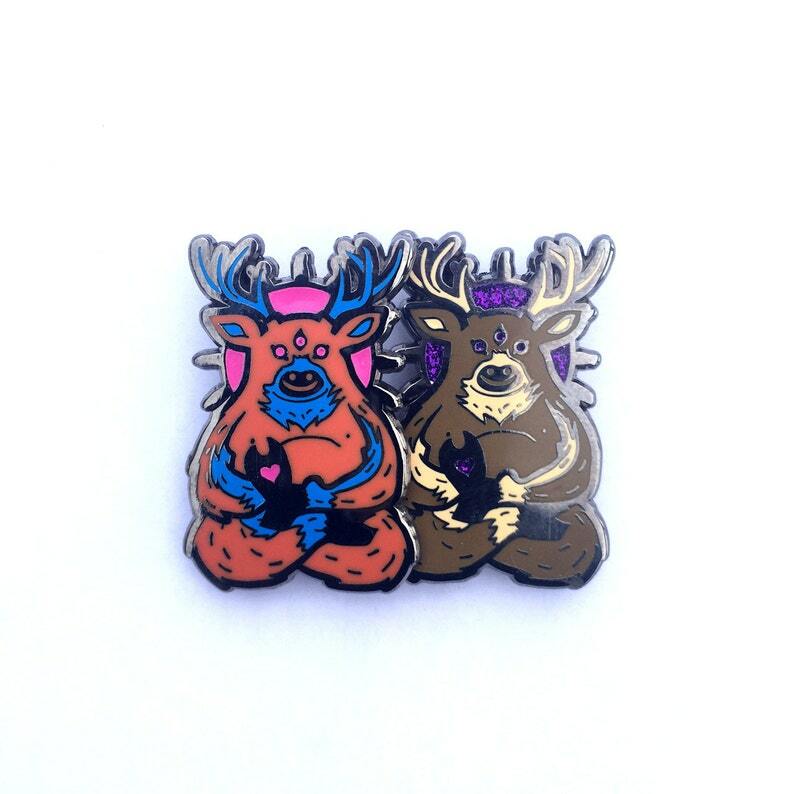 SUPER limited edition gold Spirit Deer double posted pin and numbered hat pin set. limited edition Spirit wolf soft enamel double posted le 40 Hatpin 2-pack. SUPER limited edition gold Spirit Deer blacked out color remix black soft enamel on black glitter double posted and numbered hat pin.